Fully escorted inside park, Includes admission fee. Chinese and English Speaking Tour Guide (Min. 9 Pax). Start your day at Universal Studios Hollywood on the world famous Studio Tour to explore where Hollywood movies are made and see firsthand the world’s largest 3-D experience, King Kong 360 3-D, created by Peter Jackson. Then, face action head-on in heart-pounding rides, shows and attractions that put you inside some of the world’s biggest movies and TV shows. Survive an 84- foot vertical plunge in Jurassic Park® – The Ride or brave the world’s scariest indoor thrill ride on Revenge of the MummySM – The Ride. Visit the animated world by racing with The Simpsons™ on a revolutionary, virtual roller coaster and more! And be part of the battle as you embark on a mission to defend the Allspark from the evil clutches of the Decepticons® in Transformers: The Ride 3D. 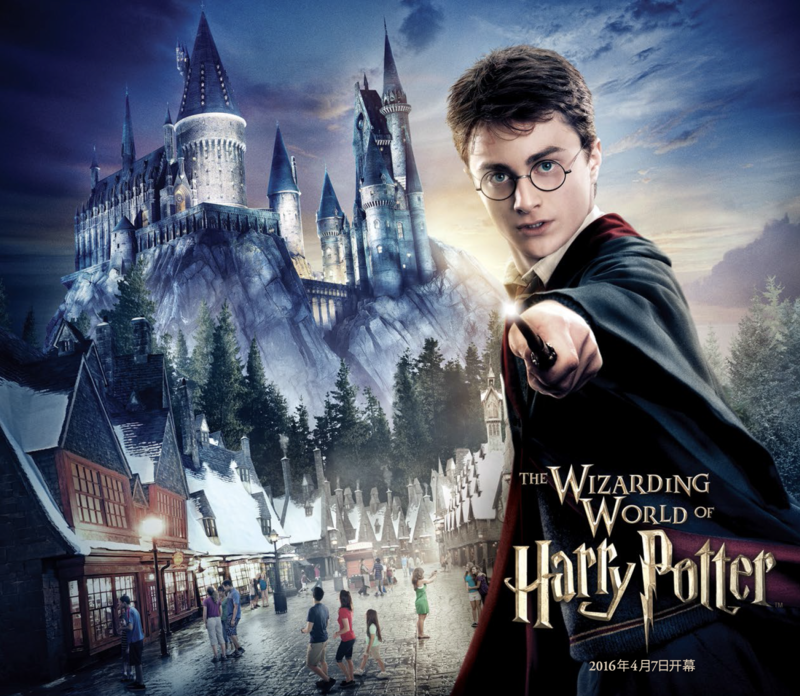 and grand opening The Wizarding World of Harry Potter™, Explore the mysteries of Hogwarts™ castle, visit the shops of Hogsmeade™ and sample fare from some of the wizarding world’s best-known establishments. Plus, experience pulse-pounding rides and attractions that transport you into a world of magical thrills and excitement. Remark: All tickets can not travel on their own, must follow the group tour guide action.